Jill Made It: Flower Clip Giveaway Winner! Cassie! Cassie said, "2. Jill I would for one really like to see more on painting, that's something I'd love to learn! Especially how to do water color! I think some painting tutorials would be awesome!!!!!!!" Thanks so much to all who entered for your lovely comments and suggestions. Reading your comments is one of my favorite things about writing this blog! I will definitely use your suggestions to help make my blog better. 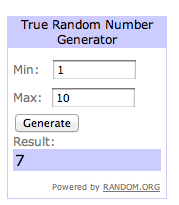 Cassie, I'll be e-mailing you soon to let you know you won! Sweet, I am so super excited!! !